All about Armed Forces Medical College (AFMC) Bachelor of Medicine, Bachelor of Surgery (MBBS) ✓ Notification ✓ Application Form ✓ Syllabus ✓ Admit Card ✓ Eligibility ✓ Question Papers ✓ Answer Key ✓ Question Papers ✓ Merit List ✓ Preparation Tips & more. Armed Forces Medical College (AFMC) Pune will admit 130 candidates (105 boys & 25 girls) into its MBBS course commencing from 01 August 2017. Candidates seeking admission to AFMC Pune will have to qualify the AIPMT - 2017 examination conducted by Central Board of Secondary Education (CBSE). Information brochure including application form will be available online. Candidates desirous for admission into AFMC Pune will have to register and apply online on the website www.afmcdg1d.gov.in OR at www.afmc.nic.in. To be considered for admission to AFMC Pune, the eligible candidates should have appeared in AIPMT – 2017 and also applied online to AFMC Pune. 7. Entrance Exam Date : will be announce soon..
(a) The Higher Secondary (10+2) or equivalent examination in Science of a statutory Indian University/board or other recognized examination body with English, Physics, Chemistry & Biology which shall include practical test in all of these science subjects. (b) The Pre-professional/Pre-Medical examination with English, Physics, Chemistry and Biology (after passing either Higher Secondary School examination or pre-University or equivalent examination) which shall include practical test in these science subjects. (c) 1 st year of three years Degree course of a recognised University with English, Physics, Chemistry and Biology including practical test in Science subjects provided the examination is a University Examination. (g) B.Sc. Examination of a recognized Indian University provided that he/she has passed the B.Sc. Examination in not less than two of the subjects Physics, Chemistry, Botany, Zoology and further that he/she has passed the qualifying examination with Physics, Chemistry, Biology and English. (h) Candidates who have appeared or will be appearing in qualifying examination up to 01 May 2017 may also apply. Admission, if selected, however, will be subject to passing and meeting the eligibility criteria as per Para 10 and 11 above. Eligible candidates who are interested to join AFMC Pune, to pursue the MBBS course will have to mandatorily register with and appear for the AIPMT - 2017 examination to be conducted by CBSE. They also have to apply online to AFMC Pune on the websites mentioned in para 17 below. The AIPMT - 2017 Roll number starting with 5, is an eight digit number and is essential for being recognized for admission to AFMC Pune and shall be required at all stages of admission process. Candidates who are appearing in the AIPMT - 2017 examination will also have to register and apply online to AFMC Pune on the website http://www.afmc.nic.in OR http://www.afmcdg1d.gov.in with the ROLL NUMBER allotted by CBSE for AIPMT 2017. Be careful not to enter registration number of AIPMT- 2017 at the time of applying online for AFMC. On declaration of the AIPMT-2017 results by CBSE, AFMC Pune shall draw merit from amongst the candidates who have applied online to AFMC Pune and also appeared for the AIPMT - 2017 examination. The online registration/candidate Id numbers of the candidates who are shortlisted for interview based on merit will be displayed on the website. The intimation for interview will be sent on email ids of successful candidates. They will find call letters for the interview once they log on into their account. The list of merit and waitlisted candidates will be uploaded on the website www.afmcdg1d.gov.in tentatively within 05 days after the last date of interview. The candidates called for admission will have to produce the original Admit card for AIPMT-2017 containing the AIPMT Roll number, copy of the online application to AFMC Pune, original mark sheets of their qualifying examination and other documents, details of which will be given in the joining instructions handed over to the candidates at the time of interview. If their results and mark sheets are not received by the date of reporting for admission to AFMC, their candidature will be cancelled and no representation in this respect will be entertained. No candidate will be admitted provisionally awaiting result of the qualifying examination. If at any point of time in the process of examination, selection, admission, or studies the documents of the candidate are found to be false/not authentic or any other discrepancy is observed, the candidature/selection/admission of the candidate will be cancelled forthwith. Vacancies remaining, due to failure of selected candidates to report for admission by the due date will be filled by candidates from the waiting list in order of merit. The waitlisted candidates will be called in blocks and allotted seats in order of merit from amongst the candidates called for admission. Candidates reporting in excess to the number of available vacancies, on the date of reporting, will be advised to report every day, thereafter, at 0900hr for any vacancy arising till the completion of admission process. Any vacancy arising, till the closure of Admission process, will be filled up the next day. Hence, candidates are advised to stay at AFMC, Pune till the completion of admission process i.e. till all 105 boys and 25 girls vacancies are filled up. Those in the waiting list should keep certificates, Bond and fees ready with themselves to move at short notice on receipt of telephonic intimation, letter or mail. DGAFMS/College will not be responsible for delay in receipt or non receipt of communication sent by post. No intimation about non selection or correspondence in this regard will be entertained. No seats will be kept vacant for candidates higher in merit in waiting list if they fail to report on the date on which they have been called for reporting. Candidates MUST preserve the AIPMT - 2017 admit cards till the admission to AFMC is over. Admit card along with AIPMT - 2017 Roll number, will be required during the interview and final admission to college. Medical Examination: All candidates will be subjected to medical examination as per the requirement of the Armed Forces and as per the laid down standards. There is no provision for declaring a candidate temporarily unfit. The final authority for deciding medical fitness to the MBBS Course is the Commandant AFMC. Medical Examination report by civilian doctors will not be accepted. 1. Register and appear for AIPMT-2017. 5. Register yourself while filling the requisite details carefully. Details filled here cannot be edited later. 6. On successful registration, you will receive password in your registered e-mail Id. 7. Retrieve the password from your registered e-mail Id. 9. Read the instructions and complete part 2 and 3 of application carefully. 11. Generate the fee challan. 12. Visit the nearest SBI branch and do the challan payment of Rs. 250/- after 24 hours of challan generation. 13. Keep visiting the website and your login account for any updates. 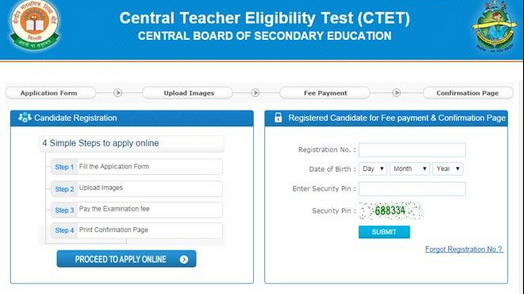 Candidates will be able to download their Admit Card before the two weeks of the exam. Candidates are requested to visit the same website to download their Admit Card For Armed Forces Medical College (AFMC) Bachelor of Medicine, Bachelor of Surgery (MBBS) Exam 2017. 1:- Log on to the official website i.e. www.afmc.nic.in OR www.afmcdg1d.gov.in. Please read the Information Bulletin of AIPMT-2017. Candidates from these states can appear in AIPMT-2017 and apply online for AFMC on www.afmcdg1d.gov.in for admission to MBBS course at AFMC Pune.